After breaking box office records and making a true bankable star out of its lead, The Hunger Games finally bows out with an action-packed chapter that frequently entertains. Jennifer Lawrence has shouldered the responsibility of this entire franchise extremely well. Her poise, sheer screen presence and chemistry have guaranteed that these films will last the test of time. She is front and centre to everything good about this series. Her emotional pull is staggering and showcases a young actress with an even brighter future ahead (remember, she’s still only 25). The action in Mockingjay part 2 is solid but doesn’t quite live up to the hype and expectation. This finale should not have been split into two separate movies in the first place. The first part was too slow and Mockingjay Part 2 feels far too stretched out in places. 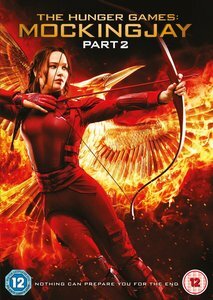 Having peaked in The Hunger Games: Catching Fire, the action quota this time around is slightly subdued and doesn’t leave a lasting impression. Catching Fire is a very rare beast – a sequel that’s better than the original. Having hit so many highs, Mockingjay Parts 1 &2 needed to up their game to follow suit. Whilst the sewer chase is exhilarating and the mass bombing on the streets utterly nerve-wracking, it still doesn’t do enough to lift this finale into the realms of unforgettable cinema. Despite a few shortcomings, The Hunger Games: Mockingjay Part 2 is still a must-see event and marks the sad closing of yet another franchise. As a series, The Hunger Games have provided many great moments and is certainly one of the better quadrilogy’s you’ll find. As a stand-alone movie, it doesn’t quite do enough, and the story does let itself off with some questionable conclusions (Gale Hawthorne’s character in particular). But that notwithstanding, The Hunger Games: Mockingjay Part 2 still comes in as one of the better action blockbusters of the year.